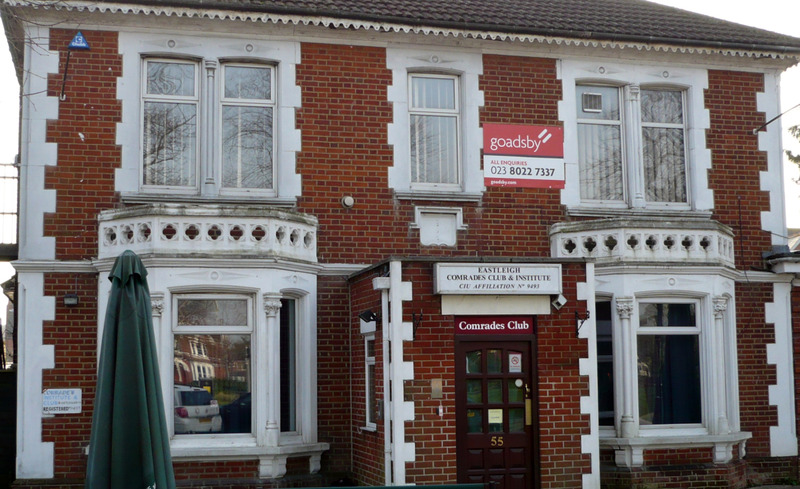 The former Comrades Club on Leigh Road comes ‘under the hammer’ today as a sealed bid auction closes with a guide price of £380,000. Many members have said this is a cheap price for the Social Club which closed last October when the club went into administration. The site occupies a prime 0.25 location facing the park, has parking for 20 cars and offers 5,000 sq ft of internal space. Privately, members had put a value on it of between £400K – £500K. “It’s seems crazy to think the council are spending nearly £700k on renovating the old Leigh Ballroom to house a youth club when they could have had an existing social club – just a few yards away – for almost half the price”. It’s understood that the Club’s debts were not overwhelming and certainly below £50k. A few years ago the premises was said to have an annual turnover of £400k . After all debts are cleared, the 500 existing members are looking forward to collecting a small windfall, their share of the capital. Meanwhile, as recently reported, local gyms and health clubs are experiencing rising membership – a clear sign of the change in the demographic and lifestyle of Eastleigh’s citizens.